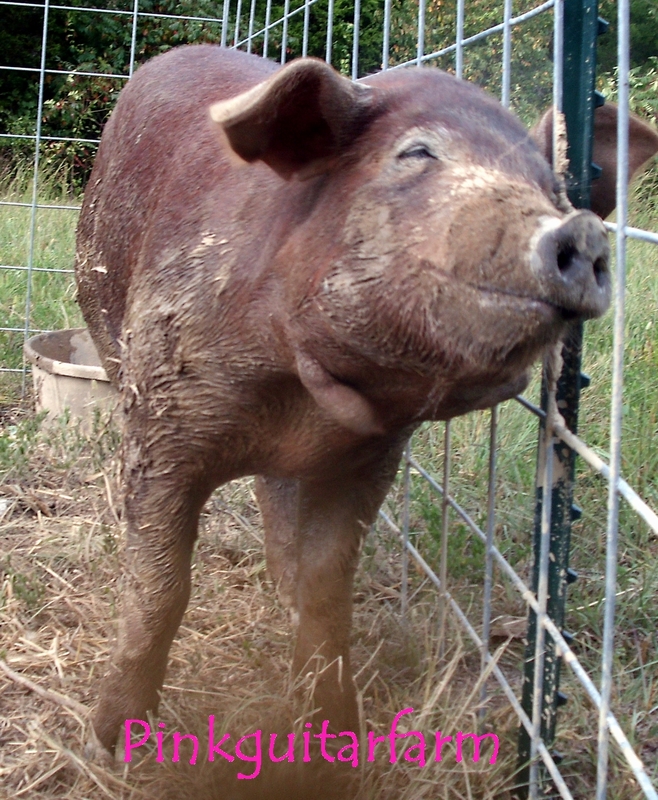 We are convinced that the Red Wattle Hog is the right heritage breed hog for our family farm. Docile, gentle, hardy and disease resistant, they need little intervention to maintain a healthy herd with proper management. So, was it the time to add a gilt to the “herd”? We had 15 piglets, so we knew that our boar could do his job. However, there were concerns about how to find one. They are critically endangered according to the ALBC. She is home with us now at PGF and doing very, very well. She is a playful, affectionate, talkative gilt with a lot of personality! See C.J.’s post regarding the match. 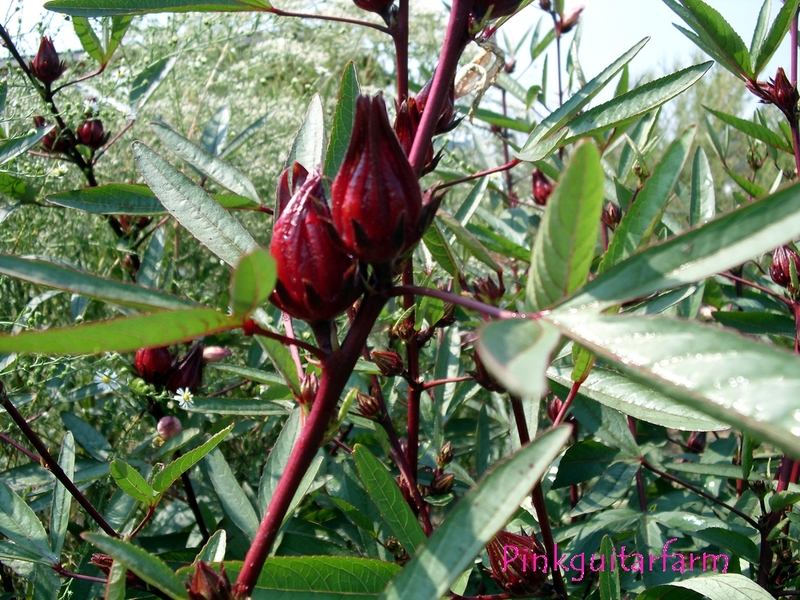 We grew the plant “roselle” this year with excellent results. We feel that there is potential for the flower and the gilt to become a very important elements on our farm in the future!